Looks like I’m not going to be spending this Sunday at nearby Hunter Mountain, listening to Bunny Wailer and The I-Threes, after all: The Woodstock Reggae CariFest has been canceled. 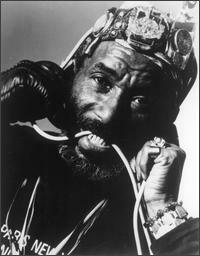 Turns out that Bunny Wailer didn’t know Lee ‘Scratch’ Perry had been added to the bill (neither did I, come to that), and once he found out, he went ballistic. The pair have a feud that dates back to the late 1960s, when Perry produced many a classic cut by the legendary Wailers line-up of Bunny, Bob Marley and Peter Tosh, but reputedly sold the master recordings without the artist’s permission. Even after the trio were picked up by Chris Blackwell at Island Records and propelled to international glory, there continued a lengthy period of animosity and allegations which clearly has never been healed or solved, despite the passage of time and the deaths of Marley and Tosh. Lee ‘Sratch’ Perry (left) and Bunny Wailer: Time Heals No Wounds. A strong statement issued by concert promoters Legendary Records, based in America’s reggae capital – Flatbush, Brooklyn – suggests that Bunny is not currently their favorite person. The concert was to have featured Bob Marley’s widow, Rita Marley, along with former Wailers producer Lee ‘Scratch’ Perry. In a letter sent to the concert organizers, Legendary Records, Bunny stated many grievances towards Lee, which lead to his refusal to go forward with this concert due to its line up. Indeed. But with Bunny or Perry? Clearly this mountain is not big enough for the both of them. 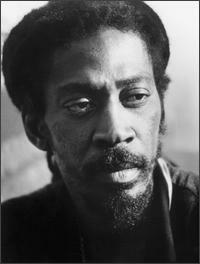 hey bunny wailer and lee perry!!!! so for over fourty years you guys still habour grudges against each other to the extent that a concert featuring the two of you was cancelled. what has happened to the peace and love that you ve been preaching all these years? what has happened to the lessons fron the mike manley and seager stephens ( i hope i got the names right) reconciliation that the reaggae fraternity (including you guys) so much promoted? i am tempted to believe that you guys have fogortten what the fight was actually about but was fuelled at a point in time by some selfinterest seeking guy. but four the fact that you are two of my reggae idols (including the gregory issacs , the beres hammonds the maxi priests etc ) i wouldnt have commented. in the name of love, please patch up, guys and dont go to your graves with this anger in your hearts. i have never felt so sad in my adult life . i am 45.
i am just a common african and i would love to see them do a duo for me. love you lee ,love you bunny. Thanks so much for speaking up. Yes, it is a great shame that, given how many rock bands we see reconcile in older age, Bunny and Lee can’t patch things up from 40 years ago. You may see my point in a newer post that the show would have been a complete wash-out due to some unexpected storms, but even so, that’s no excuse or justification for their behavior. Hope to see you back here at some point. feels good to hear that someone also shares part of my feelings about this feud. these guys got to wise up in the name of the love theve preached so much about.